It was Chandrababu who had been a strong proponent of ban on high denomination currency notes of Rs 500 and Rs 1000. Andhra Pradesh chief minister N Chandrababu Naidu said on Tuesday demonetisation was not what they wished for, adding he was still breaking his head as a solution to the ongoing (currency) crisis remained elusive. "Demonetisation was not our wish but it happened. 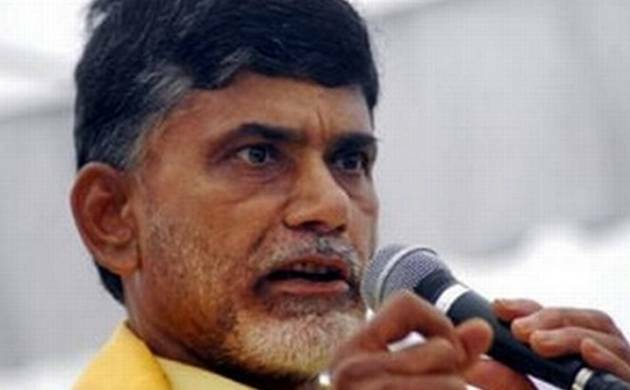 More than 40 days after demonetisation, there are still a lot of problems but yet there appears to be no solution," Chandrababu said addressing a workshop of Telugu Desam MPs, MLCs, MLAs and other leaders in Vijayawada on Tuesday. "It still remains a sensitive and complicated problem," Chandrababu -- who heads the 13-member central committee to look into demonetisation issues -- observed. In fact, he had written a letter to Prime Minister Narendra Modi on October 12 reiterating his demand. On November 9, hours after the Prime Minister came out with the demonetisation announcement, the Telugu Desam Party started claiming credit saying it was a "victory for Chandrababu" over his fight on corruption. "This is a moral victory for the TDP," it said on posts on Facebook and Twitter. "Prime Minister Modi may have taken the decision now but Chandrababu had these thoughts even when he was in the opposition (2004-14). He had been fighting for scrapping of Rs 500 and Rs 1000 notes since then," the TDP pointed in a Facebook post. The party media cell dug out newspaper clippings dated back to June 2013 when Chandrababu raised the demand for the first time. But as people started facing trouble in exchanging the scrapped notes as well as in withdrawing cash from their savings accounts, Chandrababu seemed to change his tone and started making critical remarks about the Centre?s move, particularly the introduction of Rs 2000 notes. "I am spending two hours daily to ease the problems caused by demonetisation. I am breaking my head daily but we are unable to find a solution to this problem," the chief minister said. "We could resolve the 'August crisis' (an internal party coup dating back to 1984) in 30 days but this (demonetisation) still persists," he pointed out. He said banks were "not prepared" for a transition to digital economy. "They are unable to even register banking correspondents," he added. Unless there were remedial measures, people's woes would continue in the long-term, Chandrababu warned.